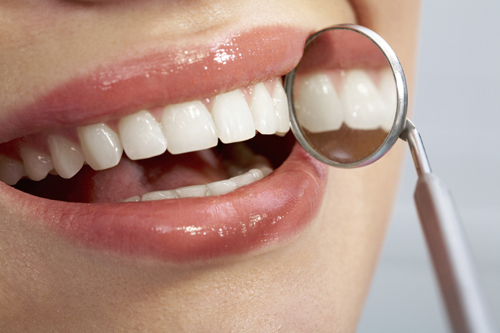 Do you equate a healthy, attractive smile with teeth that are dazzling white and cavity free. Absolutely! Yet, while these are undoubtedly major factors, the condition and health of your gums is another part you shouldn’t overlook. Gums play an important role in the health of your smile and are also linked to your overall well-being. If you experience any of these conditions, it’s important to know that it’s your gums’ way of warning you that something isn’t right. While there are a number of factors that may be causing your gums problems, such as brushing or flossing your teeth too vigorously, the most likely culprit is gum disease. Inadequate oral hygiene permits the sticky film of bacteria called plaque to flourish along the surface of the teeth, leading to gum disease. The danger of gum disease is that particularly in the early stages, it’s usually painless, and therefore often undetected. Unfortunately, if gum disease is not addressed properly, it can lead to the development of a more serious form called periodontitis. Perio-what? might be your response. But the fact that you may be unfamiliar with the term doesn’t mean that it’s uncommon or harmless. Periodontal disease is in fact one of the most common diseases in the world. According to recent findings from the Centers for Disease Control and Prevention (CDC), nearly half of Americans aged 30 or older have periodontitis, the more advanced form of periodontal disease. This equals approximately 64.7 million Americans. This chronic bacterial infection affects the tissues that surround and support your teeth, your jawbone, as well as one or more of your teeth. It’s therefore one of the most common causes of tooth loss in adults. It’s possible to have gum disease and have none of the warning signs mentioned above, so it’s vital that you take preventive action by scheduling regular dental checkups and periodontal examinations with your dentist. Along with that, care for your teeth and gums by brushing your teeth twice a day, cleaning between your teeth daily, avoiding tobacco products, and eating a balanced diet. Gum disease and tooth loss are no laughing matter. If you have gums that bleed or any other concerns about your oral health, contact us right away. We would be privileged to help you enjoy a lifetime full of gorgeous, healthy smiles. Feel free to share this blog with your friends and family to help promote healthy smiles for everyone. Do you have gums that bleed? Did you use to think that it was a normal part of brushing?